It's windy out there folks. 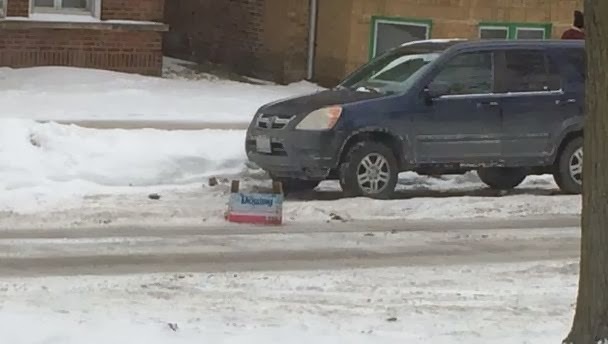 If you're gonna do the "dibs" thing, at least have the foresight to put something heavy out there that won't blow into the street — otherwise you're likely to lose your space anyhow. Also, per the "unwritten" rules (that have actually been written many times), dibs is supposed to be a reward for the hard work you have done to actually shovel the snow out of the parking space. If you don't do any shoveling, you don't really have dibs.